The investigative process is intrusive into your life and your child’s life. It is important to consider consulting with an experienced DCP&P defense lawyer to discuss your rights during an investigation. In addition, if the Division substantiates a claim of abuse or neglect against you, your current or future employment and ability to care for other children may be negatively impacted and you should contact a DCP&P defense attorney to protect your rights. Our experienced DCP&P defense lawyers have been involved in the system for many years. In fact, one of our attorneys, Brent DiMarco, has literally been involved in hundreds of child abuse and neglect investigations over the years. He worked at two of the largest DCP&P defense firms in NJ before joining the Tormey Law Firm in 2018. If you or a loved one is involved in a DYFS case and needs help, contact our offices anytime for immediate assistance at (908)-356-6900. We have multiple office locations throughout New Jersey including in Morristown, Hackensack, and Newark and our experienced attorneys will always provide you with a free initial consultation regarding your case. Do I have to cooperate with DCP&P? Yes, but only to a certain extent. If the Division of Child Protection and Permanency receives a call about your family, the Division will need to initiate an investigation and New Jersey law requires that families cooperate with the Division during an investigation, but only to a certain extent. In fact, if parents do not cooperate, the Division can take a parent to court and obtain an Order to Investigate from the court so that the Division can assess the family’s home and meet with the alleged child victim. DCP&P’s investigation may be an intrusive process and you should consider contacting an experienced DCP&P defense lawyer if the Division investigates your family because the outcome of the Division’s investigation may impact your employment or, worse, result if the Division taking custody of your child. A Substantiated finding – abuse or neglect and aggravating factors – is maintained in record by the Division and will be disclosed to third parties after inquiries from prospective employers or adoption agencies. Specifically, the Division is required to disclose substantiated findings to Child Care Centers, Residential Centers, Adoption Agencies and Registered Family Day Care Centers and the Department of Children and Families. In addition, the Division checks Resource Parent applicants, Kinship Legal Guardian applicants, and Adoptive parent applicants for a history of substantiations. After a substantiated finding, the Division will most likely require that you comply with services to remedy the issues that caused the abuse or neglect. 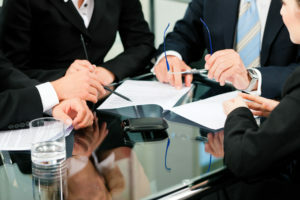 An Established finding – abuse or neglect and mitigating factors – is maintained by the Division internally and will not be disclosed to third parties, such as an employer, after inquiry. The Division keeps a record of established findings so that if your family is investigated again, the Division will know about your family’s history. After an established finding, the Division will probably require that you comply with services to remedy the issues that caused the abuse or neglect. A Not Established finding – no abuse or neglect but other concerns related to the welfare of your child due to harm or risk of harm – is also maintained by the Division, but only internally and is not disclosed to any third party. But, even if the allegation is not established, the Division may recommend services for your family. An Unfounded finding – no abuse or neglect and no concerns – essentially means that there are no concerns regarding your child and that no services are necessary to stabilize you or your child. Regardless of the Division’s investigative outcome, the investigative process alone will intrude into you and your child’s life and it is important to consider consulting with a DCP&P defense attorney to know your rights and protect them. In addition, if the Division has substantiated a claim of abuse or neglect against you, your future employment or ability to care for other children may be effected and you should contact a DCP&P defense lawyer. Contact our offices anytime for immediate assistance at (908)-356-6900. We represent clients throughout New Jersey including in Parsippany, Dover, Denville, Mount Olive, and Budd Lake.